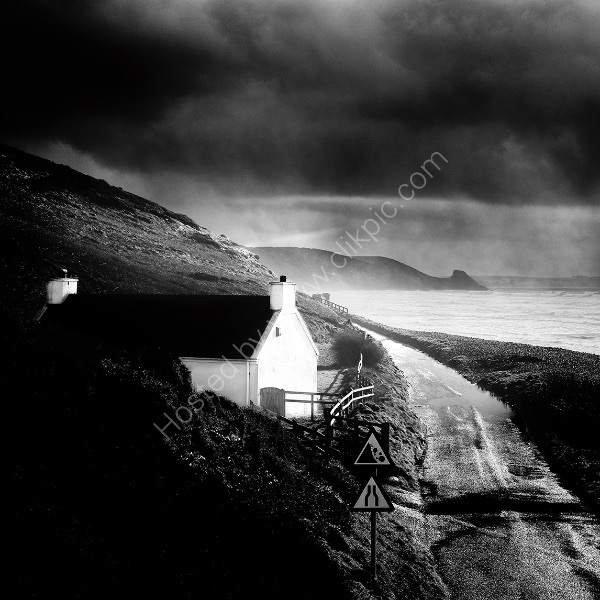 The Met Office were forecasting a series of rain & hail storms sweeping across the west coast of Wales on high winds. With this in mind, I headed for Newgale, Pembrokeshire's longest beach. I hunted around for a good viewpoint, ignoring the wind, rain, hail & rainbows! I liked this elevated position by the side of the road looking towards Rickets Head, despite the fact that I had to scramble up through about 8 feet of gorse & brambles! I got my camera and waited. I stood there for an hour or so, getting the soaking of my life. In between the storms, however, the light was just fantastic. Thank you Met Office!